Yesterday, the world celebrated Amiga’s 30th birthday. Commodore’s once ‘state of the art’ home computer , bringing back bittersweet memories of life before ‘digitisation’. Of a life, that used an endless series of different pitched ‘beeps’ to draw a clear distinction between ‘online’ and ‘offline’. Of a life, that could not simultaneoulsy accommodate both ‘online’ and ‘offline modes’. If you still remember having to ‘log out’ so someone in the house can use the landline, then keep reading. IS FACE TIME THE NEW ‘QUALITY TIME’? 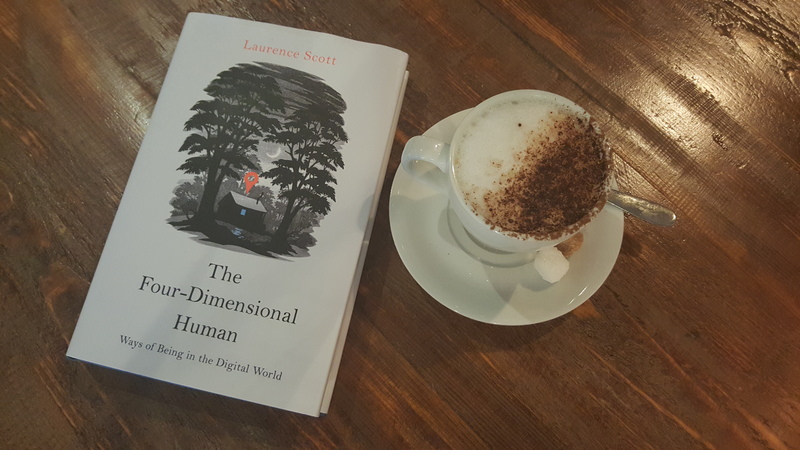 Laurence Scott’s new book called ‘The Four-Dimensional Human’ provides an excellent exploration of life in a digital landscape. It explores the undeniable weirdness of life in the digital age brilliantly and discusses a new ‘way of being ‘that is afforded by the digital revolution. The author is using a number of examples from philosophy, economics, arts, science and even pop culture to explain how everyday digital phenomena is rewiring our lives. These metaphors and comparisons are what make this such an interesting read- from Marx’s Communist Manifesto, to Airbnb’s paradox model, and Katie Price’s description of a ‘eternal nextness”, these make the book feel current and relevant and admittedly ‘lighten’ up the philosophical tone of the author’s arguments. I was totally engrossed in this book- it is not the easiest book to read, think of it as an academic PhD thesis, written like a novel where the research hypotheses are fully supported with pop cultural references, making it an enticing read. So even though Face time is not the new ‘quality’ time, it is impossible to deny that the ability to interact in real time video with someone on the other side of the word has not changed our relationships and affected the way we communicate with each other.